Christian Blog IS YOUR MARRIAGE FIRE PROOF? 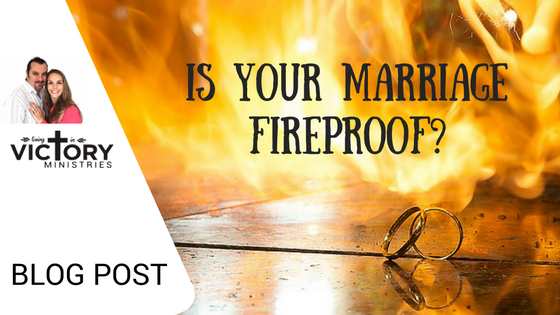 IS YOUR MARRIAGE FIRE PROOF? Allowing fiery trials to define your marriage, not destroy it. Have you ever felt like your marriage is going through a fire? What does it really mean to lay down your life for your spouse? At weddings we all hear the bride or groom say their vows, for better or worse, in sickness and in health. On the day they are just words and you never really think that one day you might need to live them out. I know for me, on my wedding day I was so excited to marry my wife Tammie that I didn’t even think twice about our vows. She looked so beautiful and she was such a babe, who thinks about the sickness and in health, or the richer or poorer stuff at that moment. Recently though, we have had the opportunity to really put our vows to the test and man I am glad that we meant them and that we have spent many years investing into our marriage. Because when you get thrown major curve balls in life it really leaves your marriage vulnerable . Trials can either leave your marriage on the rocks or reveal that it is built on the rock. For us that fiery moment has come over the last 6 months. I have been through a season of really struggling with my health. I have been in physical pain for many months. Due to this health issue, I have only been able to work 6 days this year. There has been 2-3 months of bed rest day and night. There have been days Tammie has had to dress me and nights she’s had to bath me. Our business has stopped running (for now) and our finances have been pushed to the limit. Everything we used to take comfort in has been removed and we have been given the opportunity to see our marriage from a new perspective. We have come to realise our marriage was not just about money, feelings or things. When all those things were removed we discovered that our marriage was and is built on the rock, and that rock is Jesus and His word. All those years Tammie and I spent studying the Bible together, those days and nights praying together and getting on the same page together with God have begun to reap a harvest and a big harvest it is. Instead of this season destroying our marriage, it has defined our marriage. For us it has been a fire test, like clay going through a refiners fire. As long as we keep our eyes on Jesus, we are coming out stronger, far less brittle and a lot more hard wearing to the knocks of life. No we aren’t perfect and we haven’t always got it right, but one thing I know is that when we said I do, we meant it. Love is not a feeling it’s a commitment. Feelings come and go but commitment lasts. Love is patient and it is kind and it is long suffering. No one likes suffering, but part of loving someone is loving them through suffering. These are Some of the lessons we are learning through this journey. Neither of us asked for this and so it’s nobody’s fault. We have found that just acknowledging that neither of us intentionality put ourselves into this position has quenched many heated discussions in the last few months. Shifting the blame off each other helps keep us walking in love and not harbouring resentment. No, its not how we want our marriage to be forever but it’s not my fault and is not Tammie’s fault. 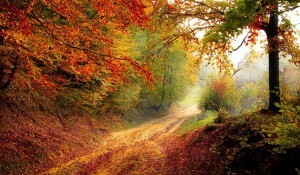 You don’t choose sickness and troubles, sometimes you have to just walk through them. During times like these it’s easy to become really frustrated but just remember it’s not your spouses fault. We have found that the more we have been put in the pressure cooker of life, the more tempted we have been to take our frustration out on each other. We have had to make a conscious decision to be gracious to each other and hold our tongues. In the heat of the moment it is hard to not speak out in anger or frustration, but allowing that in creates a crack in our relationship. If we don’t pay attention to the cracks then these can grow and eventually split us apart. 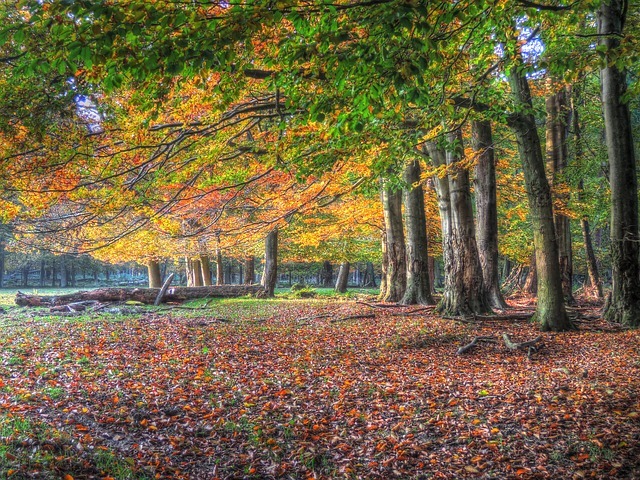 The Bible says that our tongue is like a flame that can set the whole forest on fire (see James3). So it’s better to not speak than allow that flame to cause destruction in our lives. We have found there have been times when we have been angry, angry with life, angry with God and angry with each other, but we can’t allow anger and frustration to define this season for us. Staying angry gives the devil a foothold in our lives (Ephesians 4:17) and that’s what he wants. The more place we give the devil the more havoc he can create in our lives. So let’s be quick to forgive and don’t stay angry and give the devil no place. In tough seasons you need wisdom and nothing makes it harder to navigate through hard situations than being confused. So Tammie and I have made the decision to keep out of strife because we need all the wisdom we can get. For me this is a foundation in my life. No I don’t understand why this is happening to me. No I don’t understand why it’s been allowed to happen. No I don’t understand why God has not broken in to this situation to the level and degree that I want him to, or expected him to. But what I do know is this, God is a good God and he loves me. HE LOVES ME!! His plans for me are good and he will redeem this situation (see Jeremiah 29, Romans 8, Joel 2). There will come a day in the near future when this battle is behind us and we are back on a peaceful path. Proverbs 18:14 says that “The spirit of a man sustains him in sickness, But as for a broken spirit, who can bear it?” Make sure you keep feeding your spirit man at all costs, because you need to keep it intact and fixed on God, while you are trusting Him for your breakthrough. Spending months in bed day and night, it’s easy to become despondent and discouraged. To keep my spirits up, I resist the temptation to watch TV, rather I spend most of my time watching and listening to preaching. I’m already battling a physical battle the last thing I need is to have a spiritual crisis too, so I make sure my spirit remains strong. Probably the biggest temptation we have had to face over the last 6 months is to just give up and give in. Surrender is not an option. 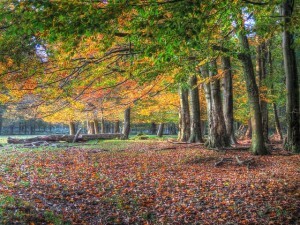 Psalm 23 says we are to walk through the valley of the shadow of death. It does not say that we are to camp there. In life, dark valleys come but we need to get up and keep walking through them until we reach the table that the Lord has set aside for us. More and more I’m getting revelation that part of my fight of faith is to just keep walking and keep my life submitted to God no matter how I feel. Each day is the day the Lord has made and I am going to rejoice in it. Ultimately I believe that God is a God who heals and we will walk out of this unscathed and stronger physically. God will redeem this and He will somehow work this for our good. In the mean time I’m so thankful to God for my amazing wife Tammie and the marriage that we have. We have our ups and downs but ultimately we are passing this fire test with flying colours. Not because we are amazing, but rather because God is and we have chosen to build our lives in Him and on His faithfulness. Don’t wait until you’re in a fire to prepare your marriage to be fire proof. Invest in it now and make sure you are building on the Rock that is Jesus and His word. We really want this ministry to bless as many people as possible so please share these blog posts on social media and please sign up to make sure you don’t miss out on new posts. 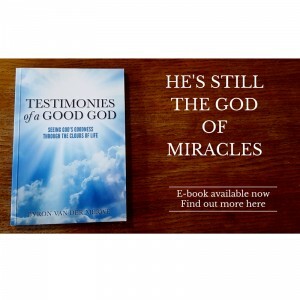 Byron is the author of Testimonies of a Good God, a true story of great loss and yet tremendous victory in Jesus. Have you ever had any Psalm 23 Bible study questions?